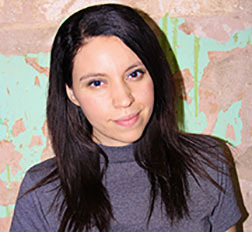 Savannah Thomas is a fiction writer of novels, screenplays, and short stories. Raised in the small city of Podunk*, Oregon, she always felt different than her peers due to her mixed heritage and “tall for her age” stature. Savannah escaped her self-diagnosed Prison of Shyness Disorder by self-medicating with daily doses of Head in the Clouds antibiotics. Her severe daydreaming soon parlayed into writing poetry and song lyrics, and slowly transitioned into stories. After learning about (and falling in love with) the many legends and myths connected to her Native American, African, Norwegian ancestry, Savannah decided that she wanted to create moving and relatable tales, particularly in the women’s fiction, science-fiction, and fantasy genres. She was first published at the age of 15 in Anthology of Poetry for Young Americans, was accepted into the Creative Writing program at Orange County School of the Arts, sold a story to Ellegirl Magazine (about her mother’s mental illness), and is currently finishing up a Bachelor’s degree in Creative Writing (w/concentration on fiction) at Southern New Hampshire University. Oh yeah, and she really loves cats! *Not actual name of city (but it should be). If you haven’t already read Savannah’s story, “Late Bloomers,” click through and then return for this interview with the author. WOW: What was the inspiration for “Late Bloomers”? Savannah: The spark of an idea came to me when I was listening to “Lower your Eyelids to Die with the Sun” by M83. I’m not sure why, but music plays a big part in my writing. Whenever I want to approach something creative, I listen to music and it provokes vivid imagery in my mind. I first imagined a man on the moon, and this story about a woman and little girl soon formed. I incorporated aspects of my complicated relationship with my mother, who raised me and my sister alone. It took time for me to come into my own, realize who I am, and I witnessed my mother go through the same journey. Essentially, in Late Bloomers, I wanted to tell the story of these two characters that feel alone, yet are slowly realizing they have each other. WOW: In this story that you’ve crafted about strength and resilience, what do you see as the strengths of Azalea? Of Harley? Do you identify with either of these characters? Savannah: Azalea possesses the strength of perseverance. She trudges through life’s obstacles and accepts her responsibilities, instead of just giving up or succumbing to grief. When Eric was alive, she made a commitment to him and his daughter, and though it is hard for her, she continues to keep it. She doesn’t understand Harley at first, but finally puts her own insecurities and judgments aside to accept her. Harley is strong because she has lost someone very close to her, and uses her imagination to cope. I think I identify more with Harley. My whole life I’ve suffered from a self-diagnosed Head in the Clouds Disorder. I got through many hardships by using my imagination – whether it be through storytelling, thinking up grand scenarios of how my future would turn out, or good ol’ fashioned daydreaming. My imagination has always been an antidote to my fears, and will always be a cathartic tool for me to deal with things. WOW: How would this story have changed if it was written from Harley’s point of view? Savannah: If it were written from Harley’s point of view, it would likely be more fantastical – incorporating her vivid imagination throughout the whole story. WOW: What have you learned in your studies that helped shape this story? Savannah: I learned in my studies to write what you know. Even if it’s a fantasy story set in another world, try to tap into real emotions, draw from real relationships, integrate authentic thoughts, reactions, desires, etc. These universal truths will speak to your readers. WOW: That’s really good advice about how to use familiar emotions to pull readers into the story. What advice do you have for our readers who have never attempted flash fiction before? Savannah: My advice would be to just go for it. Then, revise, revise, revise, trimming the fat – so to speak – until your story is concise. Personally, after a few drafts, I take a day or two break before I work on it again. When I go back, my mind is fresh, making it easier for me to notice any strengths or weaknesses, and to see if my intended themes are prominent. Lastly, my advice to anyone approaching flash fiction or other forms of writing . . . make sure to have fun! WOW: Savannah, thank you for taking time from your studies to share your ideas about writing with our readers. Hopefully you’ll have more work out there for us to read in the not-too-distant future. Until that time, dear readers, you can connect with Savannah through Instagram: @Savynannah . Wonderful interview, ladies! Sue, excellent questions. Savannah ~ I adored your story, and I wish I could be more like Azalea and not succumb to grief. Both Azalea and Harley are such vivid characters, and I love Harley's imagination. To be able to use that when circumstances are tough is a gift. Great advice on drawing from reality to create fiction, and taking a step back from a piece really does help to strengthen themes in a piece. I also gotta say, I love the way you wrote your bio! It's informative and funny!